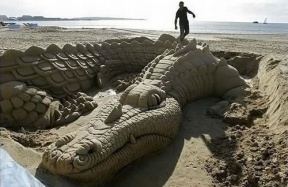 While you might see a day at the beach as a way to relax, soak in some rays, and be generally lazy, some artists spend their beach time working extremely hard at creating beautiful sand art. 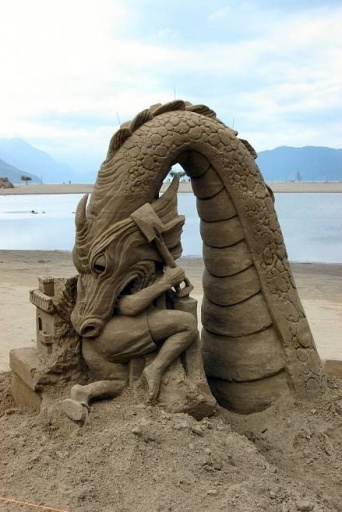 Though not a very common art-form, sand art can be incredibly detailed, beautiful, and creative. 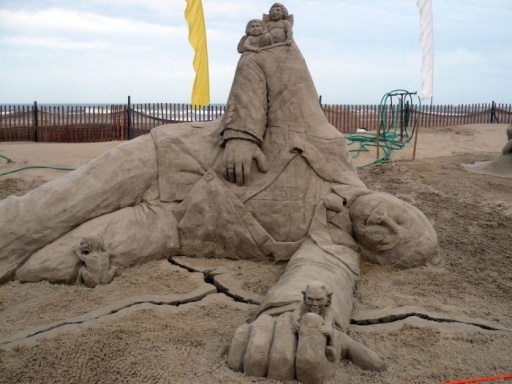 Here are a few of our favorite works of art for your enjoyment. Gulliver's gotten himself into quite a pickle. 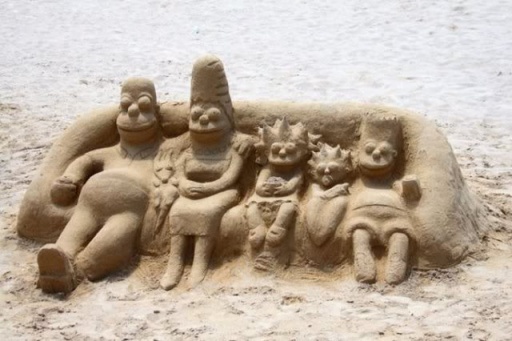 From the opening credits of the Simpsons. Very cool! This guy looks like he's not having such a great day. Hope he didn't "soil" his pants! 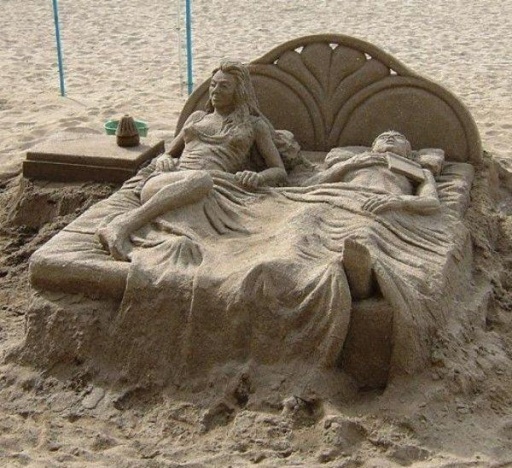 Upon closer inspection, the couple seem to be real people covered in sand. What do you think? 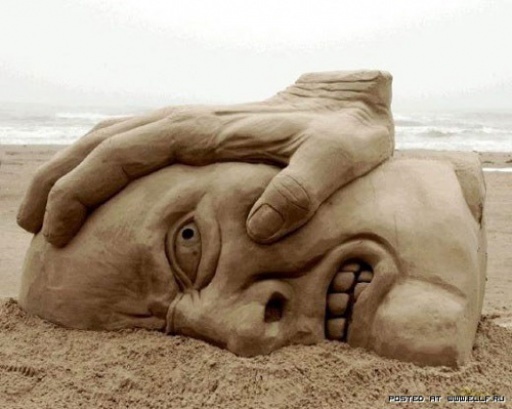 Poor kid, all he wanted was to build a sand castle by the beach.